I've been on something of a One Piece boom these days, can ya tell? But it's not been without rhyme or reason; it's just summer! And summer = oceans which also = pirates, the clean, friendly, non-scurvy kind that you see on the TVs. Disney really missed out on cashing in on pirates every summer the way One Piece does. Ace on display at the front of the shop. 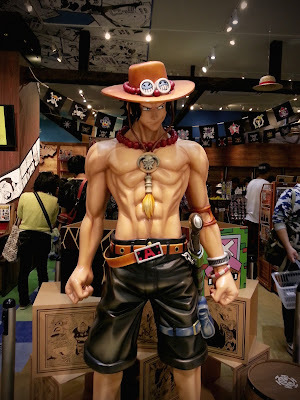 Anyway, enough rambling, especially seeing as the Mugiwara Store is much less related to summer-ness and much more related to expanding the One Piece empire. 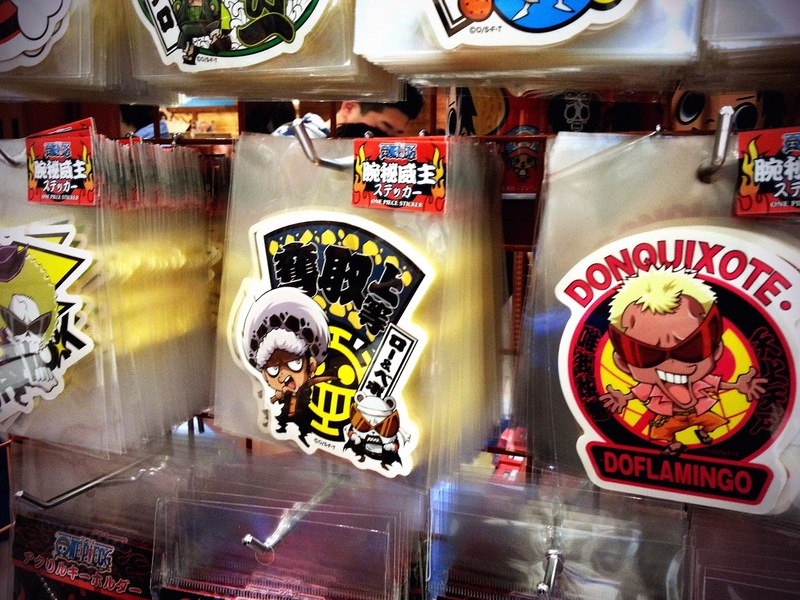 In Osaka, there are two Shonen Jump shops, one with a replica of Thousand Sunny sitting in the middle of the shop, but that alone is not enough to satisfy that masses. 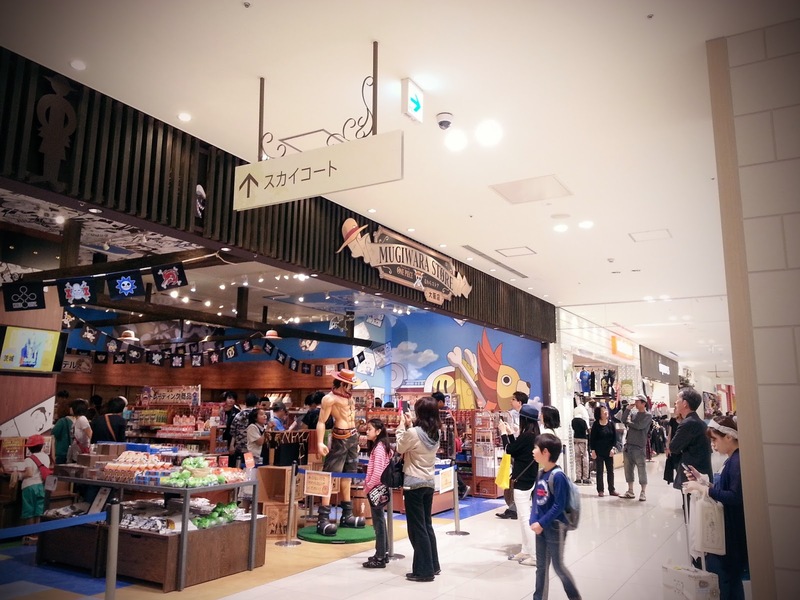 And so, the Mugiwara Store has finally dropped anchor within Q's Mall in Abeno, Osaka City. Located on the 3rd floor, the shop is fairly large and packed with a lot of One Piece goods, most of which I've never seen at Shonen Jump stores or the USJ events (not that I got that often, mind you ::cough cough:: ). That is to say, there are a lot of One Piece things to be had. Yankee-fied OP characters (as if Dofla wasn't a Yankee). 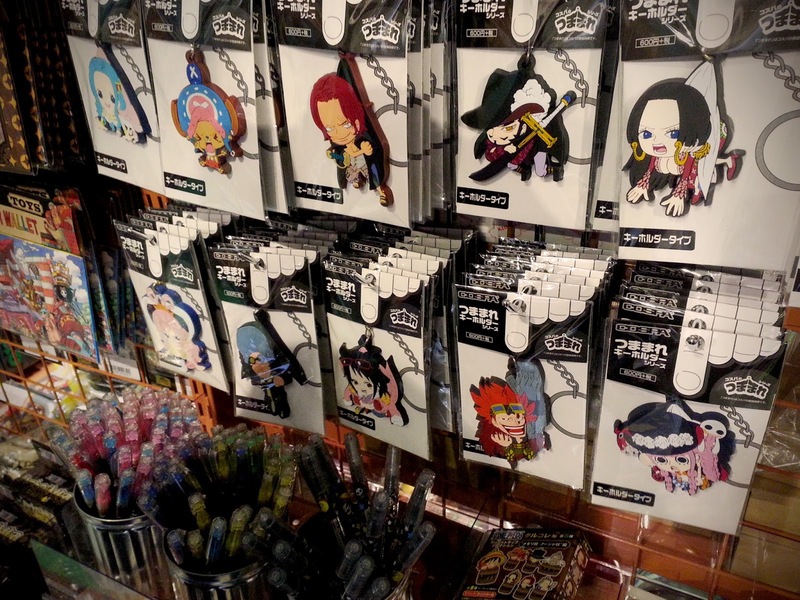 "Pinched" OP character key chains. 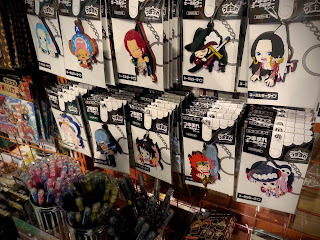 Items range from small items like key chains, stickers and pens, to everyday items like bento boxes and bath bombs, to your larger, character goods like t-shirts, towels and hats (everyone loves a good OP hat. I have 3 orz ). They also carry CDs and artbooks, though you might have better luck at a Book-Off or Mandarake price-wise. 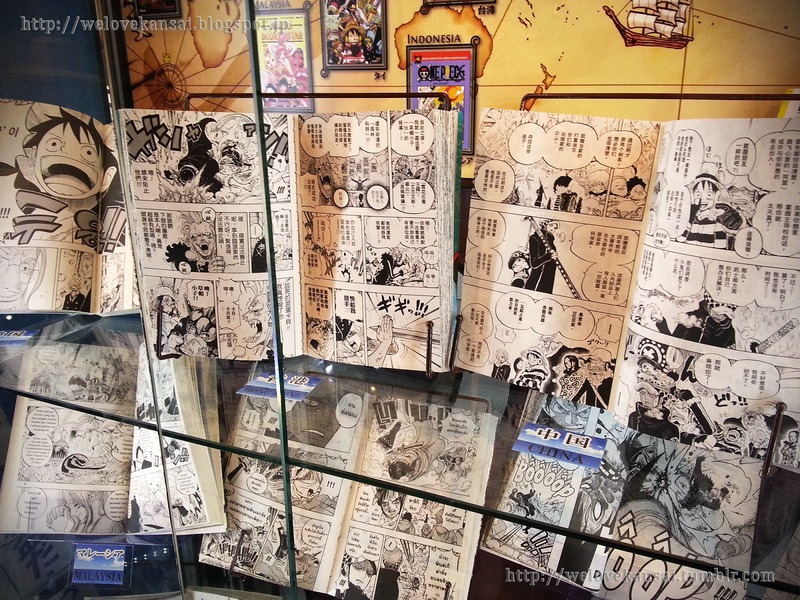 One Piece manga from various countries. Overall, I'll rate this as a must-see for any dedicated One Piece fan visiting the Osaka area. They have point cards that come with free postcards as you fill them up, in case you needed incentive to shop. And even if you only consider yourself a sometimes fan of the show, there's quite literally something for everyone, as long as you have the time to look. Located at the cross-section of JR Tennoji Station, Kintetsu's Osaka Abenobashi Station, and the Midosuji/Tanimachi Line's Tennoji Stations. The shopping mall is directly across from the Abenobashi Station, but leaving from the JR exit, you'll need to take the pedestrian overpass to the mall. Going from the subway (particularly the Tanimachi Line) is a tad more confusing so I would suggest you consult the overhead signs (written in English), or head for the JR station, then navigate your way from there. Once inside the mall, you'll need to navigate your up and around to the 3rd floor. 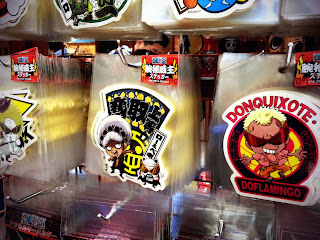 It'll be toward the back of the building, near Ito-Yokado and right next to an video game arcade (in case you needed some more excuses to spend money). More photos will be up at the WeLoveKansai tumblr. Questions, comments and concerns always welcome! And happy shopping!